Nothing beats the exceptional look and quality of our German Shepherd Address Labels. Among the finest made, you will be provided with great satisfaction and long lasting enjoyment. Why not pamper yourself or give a loved one a German Shepherd gift to show them how much you care. The German Shepherd Address Labels will make the perfect gift for any German Shepherd lover. Shop with confidence, because all products come with a 100% customer satisfaction guarantee. Click over now to see the big selection of German Shepherd gifts we offer. Nothing beats the exceptional look and quality of our German Shepherd Blanket. Among the finest made, you will be provided with great satisfaction and long lasting enjoyment. Why not pamper yourself or give a loved one a German Shepherd gift to show them how much you care. The German Shepherd Blanket will make the perfect gift for any German Shepherd lover. Shop with confidence, because all products come with a 100% customer satisfaction guarantee. Click over now to see the big selection of German Shepherd gifts we offer. 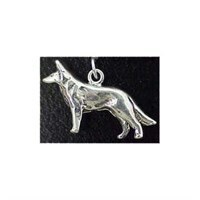 Our gorgeous German Shepherd Bookmark will be met with joyous approval when it arrives on your doorstep. This unique German Shepherd Bookmark has a sleek and well fitting Shepherd?ÇÖs hook which makes it especially portable and fits both paperback and hardback books. The German Shepherd Bookmark features a 5 inch long chain made up of alternating exquisite Swarovski Crystals and elegant Czech Glass Beads. 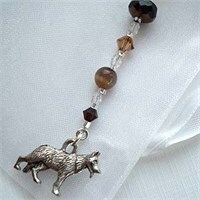 You will be proud to be seen using this lovingly handmade in the USA German Shepherd Bookmark. Beautifully presented in a sheer Organza pocket with lace ties, it will make the perfect gift for the Book enthusiast. Beautifully hand painted, this delightful German Shepherd Bottle stopper will be the talk of the party at your next get together. At approximately 1½" to 2" tall, our intricate German Shepherd Bottle stopper looks just right sitting atop just about any bottle. Weather a gift for a dear friend or family member or simply a new decoration for your home, all German Shepherd lovers will surely enjoy this gorgeous stopper. Beautifully hand painted, this delightful Silver & Black German Shepherd Bottle stopper will be the talk of the party at your next get together. At approximately 1½" to 2" tall, our intricate Silver & Black German Shepherd Bottle stopper looks just right sitting atop just about any bottle. Weather a gift for a dear friend or family member or simply a new decoration for your home, all German Shepherd lovers will surely enjoy this gorgeous stopper. Nothing beats the exceptional look and quality of our German Shepherd Charm. Among the finest made, you will be provided with great satisfaction and long lasting enjoyment. Why not pamper yourself or give a loved one a German Shepherd gift to show them how much you care. 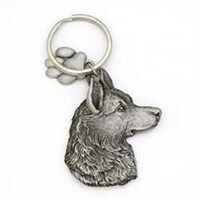 The German Shepherd Charm will make the perfect gift for any German Shepherd lover. Shop with confidence, because all products come with a 100% customer satisfaction guarantee. Click over now to see the big selection of German Shepherd gifts we offer. Nothing beats the exceptional look and quality of our German Shepherd Coasters. Among the finest made, you will be provided with great satisfaction and long lasting enjoyment. Why not pamper yourself or give a loved one a German Shepherd gift to show them how much you care. The German Shepherd Coasters will make the perfect gift for any German Shepherd lover. Shop with confidence, because all products come with a 100% customer satisfaction guarantee. Click over now to see the big selection of German Shepherd gifts we offer. Nothing beats the exceptional look and quality of our German Shepherd Collar & Leash. Among the finest made, you will be provided with great satisfaction and long lasting enjoyment. Why not pamper yourself or give a loved one a German Shepherd gift to show them how much you care. 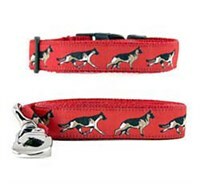 The German Shepherd Collar & Leash will make the perfect gift for any German Shepherd lover. Shop with confidence, because all products come with a 100% customer satisfaction guarantee. Click over now to see the big selection of German Shepherd gifts we offer. Nothing beats the exceptional look and quality of our German Shepherd Cookie Jar. Among the finest made, you will be provided with great satisfaction and long lasting enjoyment. Why not pamper yourself or give a loved one a German Shepherd gift to show them how much you care. The German Shepherd Cookie Jar will make the perfect gift for any German Shepherd lover. Shop with confidence, because all products come with a 100% customer satisfaction guarantee. Click over now to see the big selection of German Shepherd gifts we offer. Nothing beats the exceptional look and quality of our German Shepherd Dish Towel & Potholder. Among the finest made, you will be provided with great satisfaction and long lasting enjoyment. Why not pamper yourself or give a loved one a German Shepherd gift to show them how much you care. The German Shepherd Dish Towel & Potholder will make the perfect gift for any German Shepherd lover. Shop with confidence, because all products come with a 100% customer satisfaction guarantee. Click over now to see the big selection of German Shepherd gifts we offer. Nothing beats the exceptional look and quality of our German Shepherd Figurine. Among the finest made, you will be provided with great satisfaction and long lasting enjoyment. Why not pamper yourself or give a loved one a German Shepherd gift to show them how much you care. The German Shepherd Figurine will make the perfect gift for any German Shepherd lover. Shop with confidence, because all products come with a 100% customer satisfaction guarantee. Click over now to see the big selection of German Shepherd gifts we offer. You will love the fine detail and clever way this German Shepherd Figurine Black captures all the best features and spirit of your favorite friend. Our German Shepherd Figurine Black will look great displayed on your desk at work or on a mantel at home. Perch this tiny statue next to a framed photo and you?ÇÖll have an instant focal point in your living room. Our delightful German Shepherd Figurine Black are made of stone resin and are hand painted to feature exceptional detail. This fine Collectible measures 4-5 inches in size. You will love the fine detail and clever way this German Shepherd Figurine Blk-Slv MyDog captures all the best features and spirit of your favorite friend. 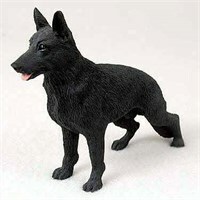 Our German Shepherd Figurine Blk-Slv MyDog will look great displayed on your desk at work or on a mantel at home. Perch this tiny statue next to a framed photo and you?ÇÖll have an instant focal point in your living room. 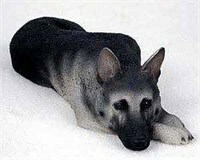 Our delightful German Shepherd Figurine Blk-Slv MyDog are made of stone resin and are hand painted to feature exceptional detail. This fine Collectible measures 4-5 inches in size. You will love the fine detail and clever way this German Shepherd Figurine Tan-Bk MomPups captures all the best features and spirit of your favorite friend. Our German Shepherd Figurine Tan-Bk MomPups will look great displayed on your desk at work or on a mantel at home. Perch this tiny statue next to a framed photo and you?ÇÖll have an instant focal point in your living room. Our delightful German Shepherd Figurine Tan-Bk MomPups are made of stone resin and are hand painted to feature exceptional detail. This fine Collectible measures 4-5 inches in size. 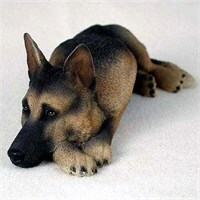 You will love the fine detail and clever way this German Shepherd Figurine Tan-Black MyDog captures all the best features and spirit of your favorite friend. 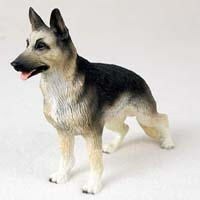 Our German Shepherd Figurine Tan-Black MyDog will look great displayed on your desk at work or on a mantel at home. Perch this tiny statue next to a framed photo and you?ÇÖll have an instant focal point in your living room. Our delightful German Shepherd Figurine Tan-Black MyDog are made of stone resin and are hand painted to feature exceptional detail. This fine Collectible measures 4-5 inches in size. Nothing beats the exceptional look and quality of our German Shepherd Floormat. Among the finest made, you will be provided with great satisfaction and long lasting enjoyment. Why not pamper yourself or give a loved one a German Shepherd gift to show them how much you care. The German Shepherd Floormat will make the perfect gift for any German Shepherd lover. Shop with confidence, because all products come with a 100% customer satisfaction guarantee. 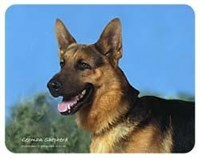 Click over now to see the big selection of German Shepherd gifts we offer. 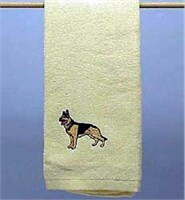 Nothing beats the exceptional look and quality of our German Shepherd Hand Towel. Among the finest made, you will be provided with great satisfaction and long lasting enjoyment. Why not pamper yourself or give a loved one a German Shepherd gift to show them how much you care. The German Shepherd Hand Towel will make the perfect gift for any German Shepherd lover. Shop with confidence, because all products come with a 100% customer satisfaction guarantee. Click over now to see the big selection of German Shepherd gifts we offer. Nothing beats the exceptional look and quality of our German Shepherd Cap. Among the finest made, you will be provided with great satisfaction and long lasting enjoyment. Why not pamper yourself or give a loved one a German Shepherd gift to show them how much you care. The German Shepherd Cap will make the perfect gift for any German Shepherd lover. Shop with confidence, because all products come with a 100% customer satisfaction guarantee. Click over now to see the big selection of German Shepherd gifts we offer. 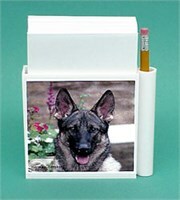 Nothing beats the exceptional look and quality of our German Shepherd Hold-a-Note. Among the finest made, you will be provided with great satisfaction and long lasting enjoyment. Why not pamper yourself or give a loved one a German Shepherd gift to show them how much you care. The German Shepherd Hold-a-Note will make the perfect gift for any German Shepherd lover. Shop with confidence, because all products come with a 100% customer satisfaction guarantee. Click over now to see the big selection of German Shepherd gifts we offer. 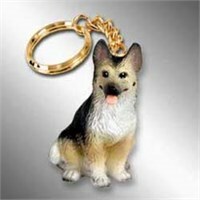 Nothing beats the exceptional look and quality of our German Shepherd Keychain. Among the finest made, you will be provided with great satisfaction and long lasting enjoyment. Why not pamper yourself or give a loved one a German Shepherd gift to show them how much you care. The German Shepherd Keychain will make the perfect gift for any German Shepherd lover. Shop with confidence, because all products come with a 100% customer satisfaction guarantee. Click over now to see the big selection of German Shepherd gifts we offer. Nothing beats the exceptional look and quality of our German Shepherd License Plate Frame. Among the finest made, you will be provided with great satisfaction and long lasting enjoyment. Why not pamper yourself or give a loved one a German Shepherd gift to show them how much you care. The German Shepherd License Plate Frame will make the perfect gift for any German Shepherd lover. Shop with confidence, because all products come with a 100% customer satisfaction guarantee. Click over now to see the big selection of German Shepherd gifts we offer.